I Did It! I painted our wood range hood mount! 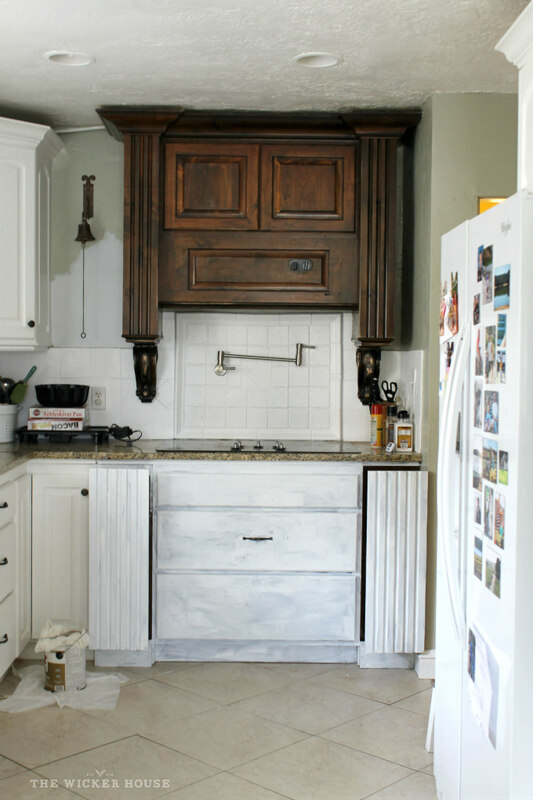 I painted our wood range hood mount! But I bet you already knew it was coming, didn't ya? It was just a matter of time before I got the guts to do it. 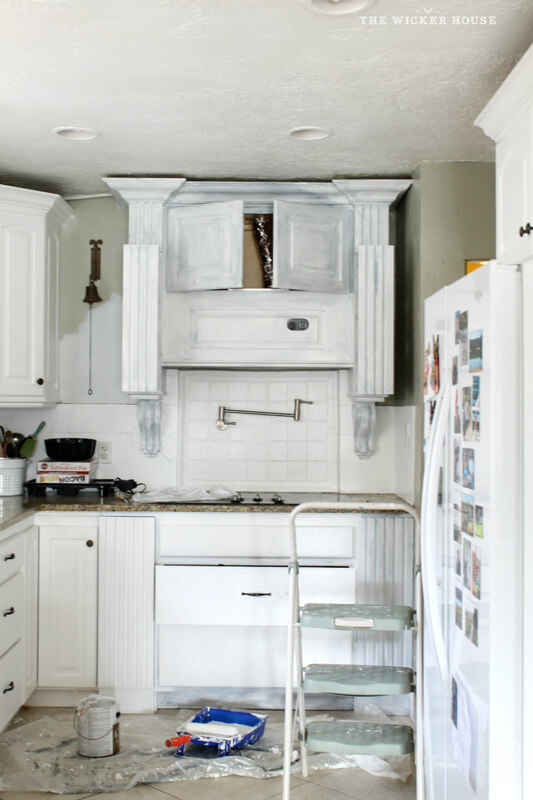 If you missed any of my 'should I or should I not paint my stove mount' post, then let me fill you in. 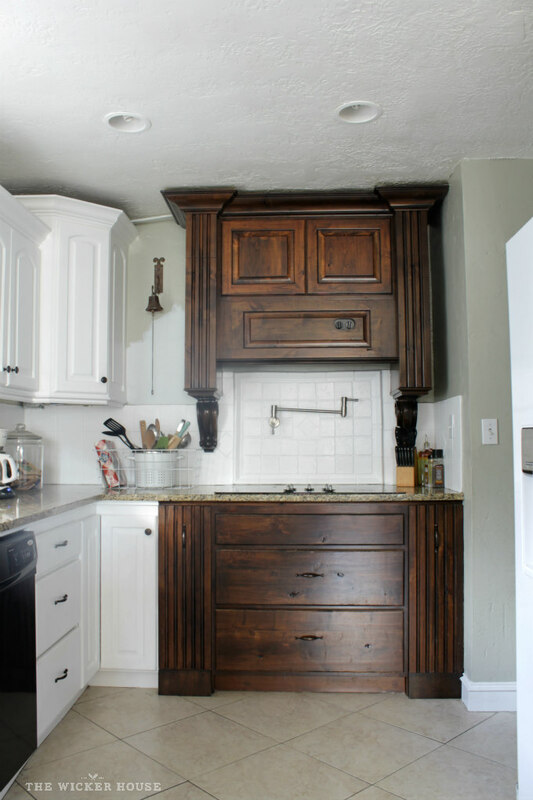 It had a dark wood stove mount, a mix of green and rust backsplash tile, and a gray-green color on the walls. It gave the kitchen a warm, rustic, farmhouse feel, which was fine, but it just wasn't my personal style. The kitchen just felt too dark for me. 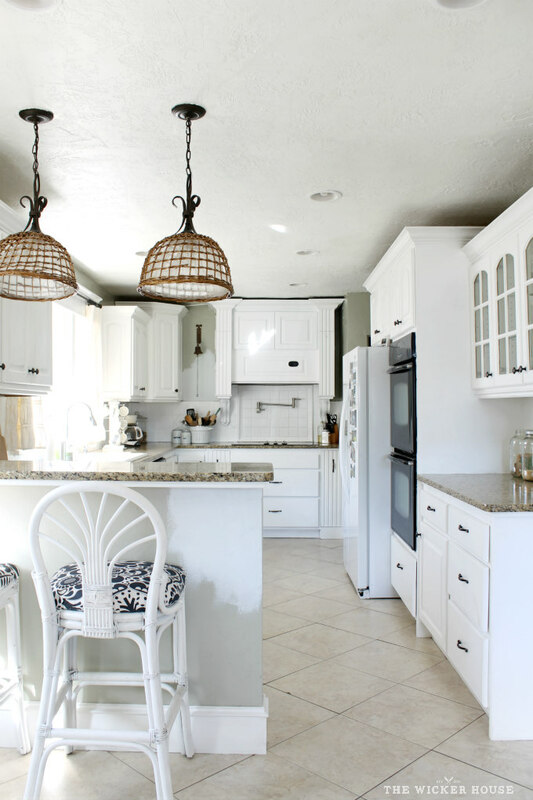 I've always been drawn to the look of bright white kitchens. 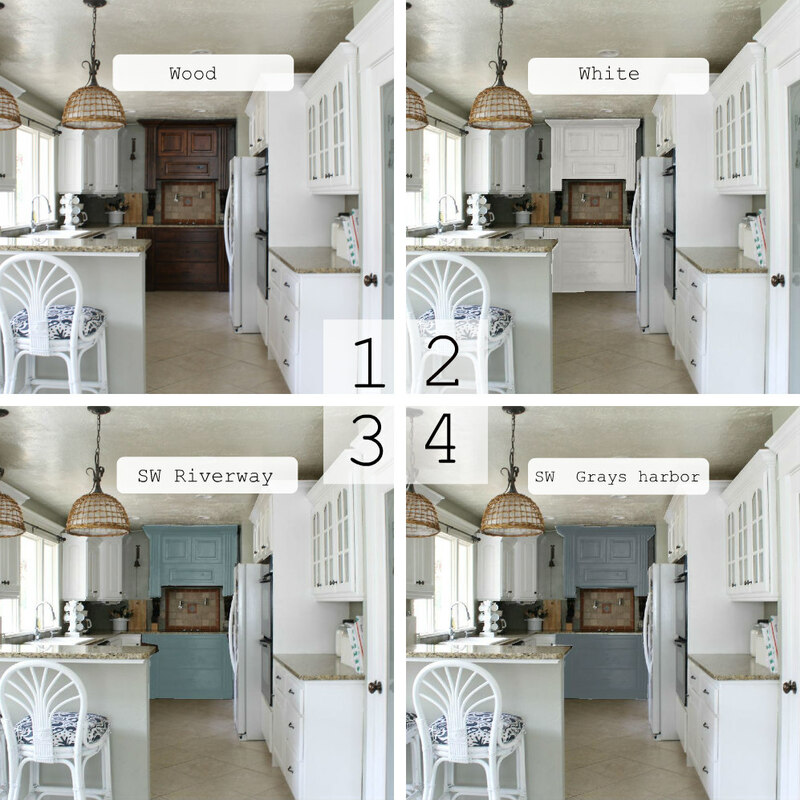 So one day I had fun playing around on the Sherwin Williams Paint Visualizer website, and came up with a few different looks that I shared HERE on the blog. Do you know which look majority of the readers liked best? Answer: #1 The wood look! So I left it wood and then decided to tackle the dark tile backsplash. I painted it white, and posted all about it HERE. But with the tile now white, it made the dark wood stand out even more. So I took it to Instagram and mentioned that I was still debating on painting it either white, a pretty blue or leaving it wood. Majority of the comments said to just paint the bottom white and leave the top wood. A lot of comments were to re-stain the wood and I actually loved that idea, however, I believe this mount was factory made because it had a finish on it that was so thick and sealed. It would have been the biggest job ever to get it down to the raw wood, not to mention all of the nooks and crannies this thing has. So I knew painting it was the best option. So I started out just painting the bottom half, but after a coat of white primmer, I knew that I just wanted to go all the way and paint the whole thing white. So on went the primer! I'm not going to lie, I was a nervous wreck painting this thing. After so much pondering and debate, I couldn't believe I was actually painting it. I primed it in two coats of Kilz primer and then I painted it in two coats of Olympic One - off the shelf semi-gloss paint. 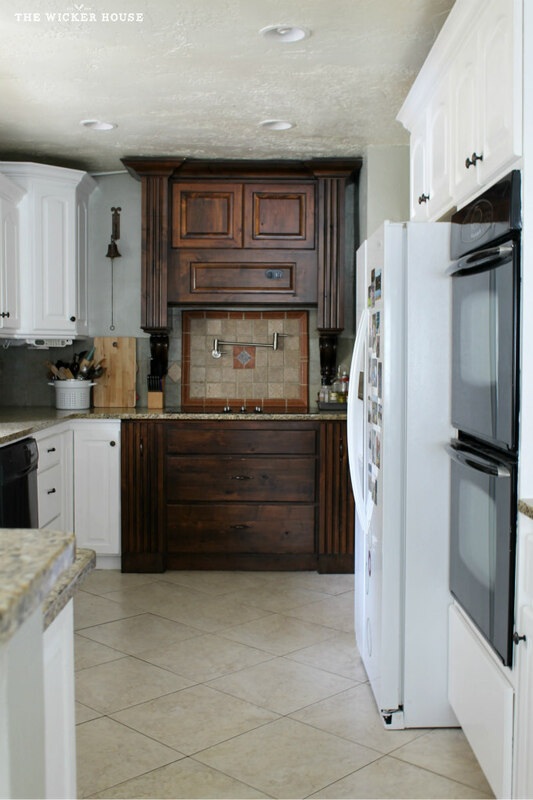 Which is the same paint I used on both the cabinets and the tile backsplash. Now, a lot of comments also said I should paint it in a pretty blue, and I still could down the road, but first I wanted to see it white. My husband was out of town when this all went down. Halfway though I texted him and asked if it was okay to paint the range mount, and he replied, Go For It! with a thumbs up. He likes it, but he just mentioned that it blends in so much now. He was a fan of the wood, but he also likes to make me happy. He's totally right, it now just all blends together, and I love that! I'm so Glad I went for it. And now, as you can clearly see from all of the paint patches, I'm deciding on a new color for the walls. Stay tuned! More changes are in store. What do you think? Do I dare ask? I know that I was pretty much on my own on this one. But all that matters is that I love it. 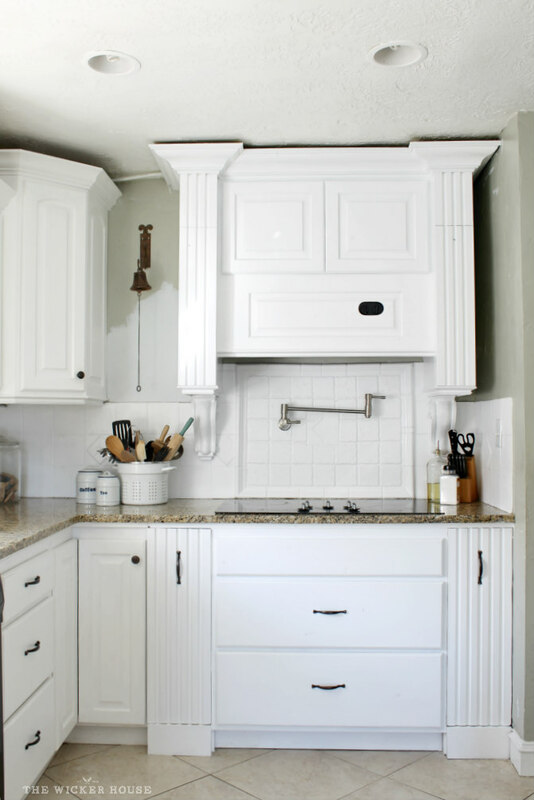 its perfect white is a total winner!!!!!!!!!!!!! 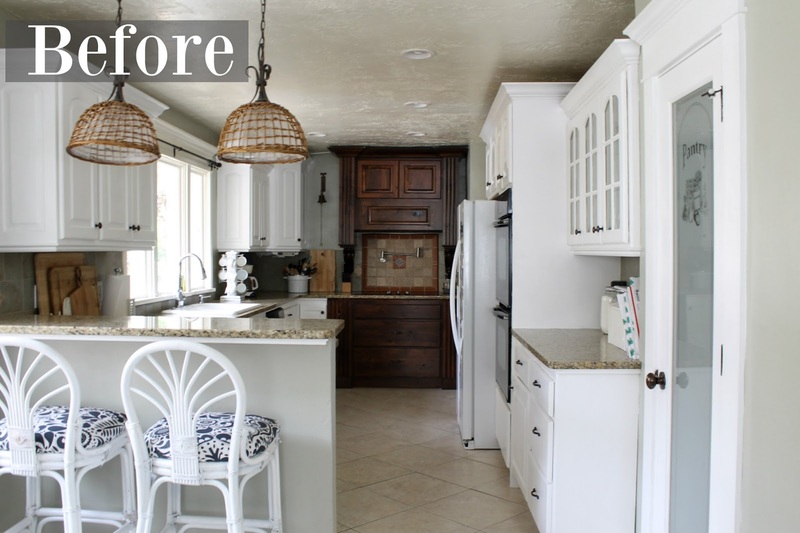 It's completely transformed your kitchen to a light, bright space! You were right to trust your instincts! I am not a purist. I say it's only paint!! :) I like it white, but the most important thing is that you do. It is your home after all. To me the dark wood gave it a heavy dark look. Now white, it is light, bright and it blends in nicely. 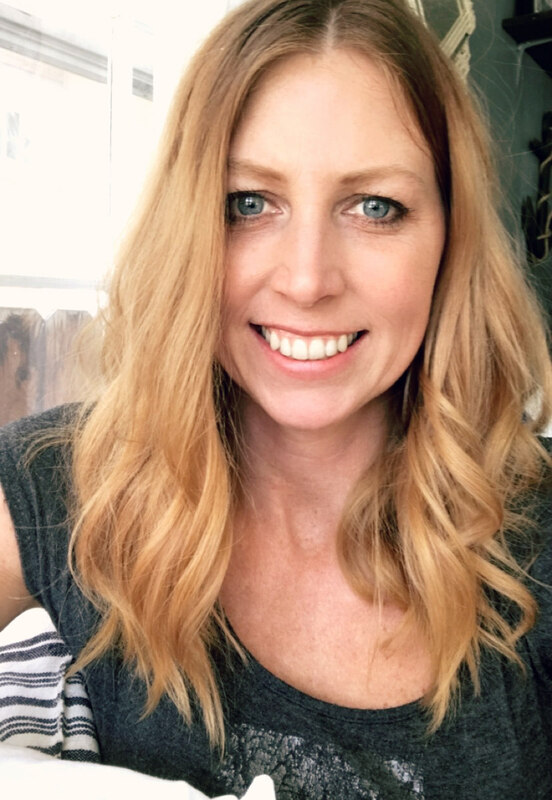 Curious to see what you are doing next . That is all that matters. Glad you like it. Personally I think it looks better, it stuck out before. I have to say that it looks so much nicer!! Great job. 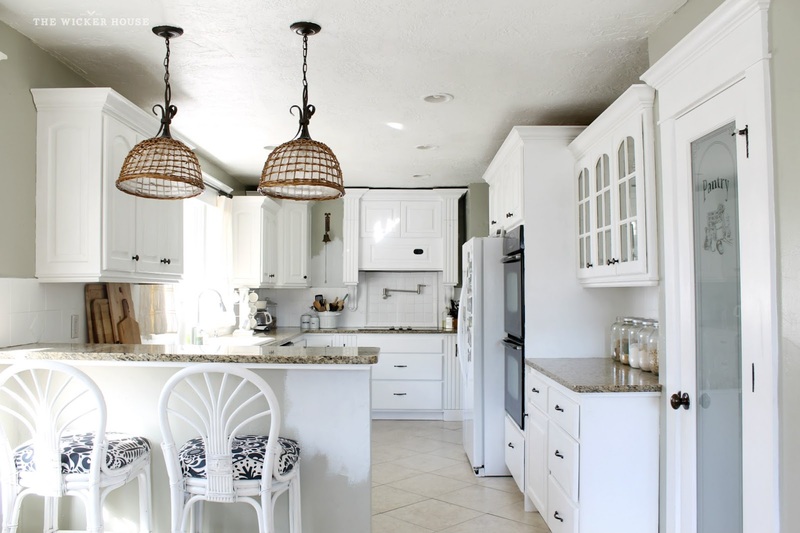 I think all you need now is under cabinets lighting to make it even more brighter. Awoseme job. Love it! Everything looks so bright and fresh! Oh no! I definitely liked the wood. It's so unique I think it'll look really pretty in a color. I'm glad you like it now though. I loved the wood! It broke up all the white and it made such a bold statement. I know the all white look is in but I think there should be something to make it less stark and sterile looking. I would have been nervous too, BUT it looks amazing! So much brighter and even bigger! Good choice! I SO LOVE THE WHITE. I thought the wood tone looked out of place and not something a builder/designer had done. White color is a symbol of whiteness. I love white color. This is focus the truthiness and bright. 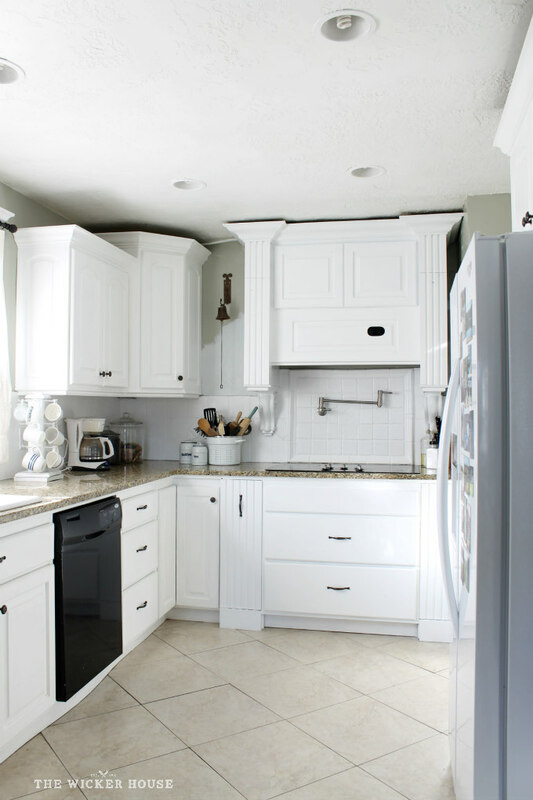 whereas the inside of the room color is white so it is better that a range hood become white. Really impressive.